Watch this space for news about upcoming events, talks, and book-signings. A return engagement to speak to sixty-five New York City public school teachers about The Philosophical Breakfast Club in the National Archives at the US Custom House. Lecture and discussion with Michael White, author of Travels in Vermeer. I spent a delightful evening at Book Culture on the Upper West Side for a joint reading/discussion with Michael White, author of Travels in Vermeer. I spoke to sixty-five New York City public school teachers about Eye of the Beholder at the National Archives, which is located in the beautiful and historic US Custom House. I so enjoyed my visit to Brattleboro, meeting all the wonderful authors at the festival, and my talk in front of a full house! 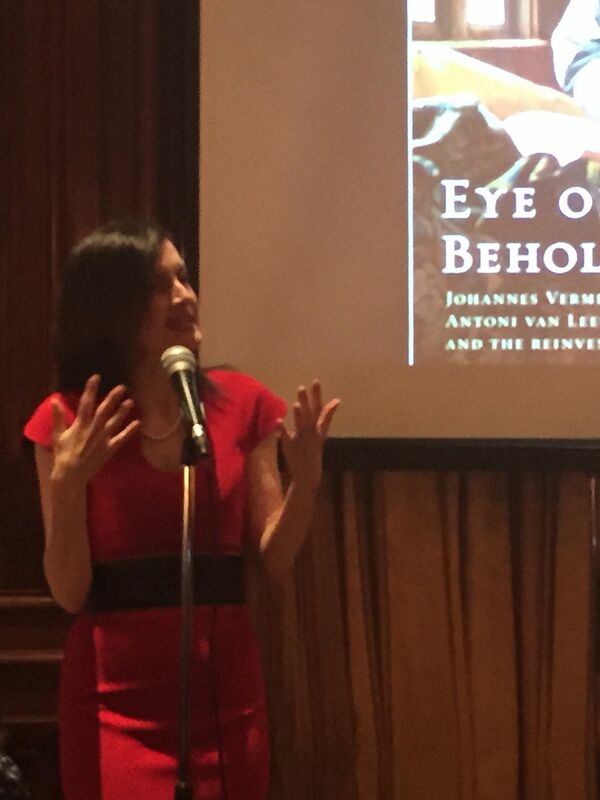 I had a great time speaking at the New York Public Library, where I carried out some of the research for Eye of the Beholder. 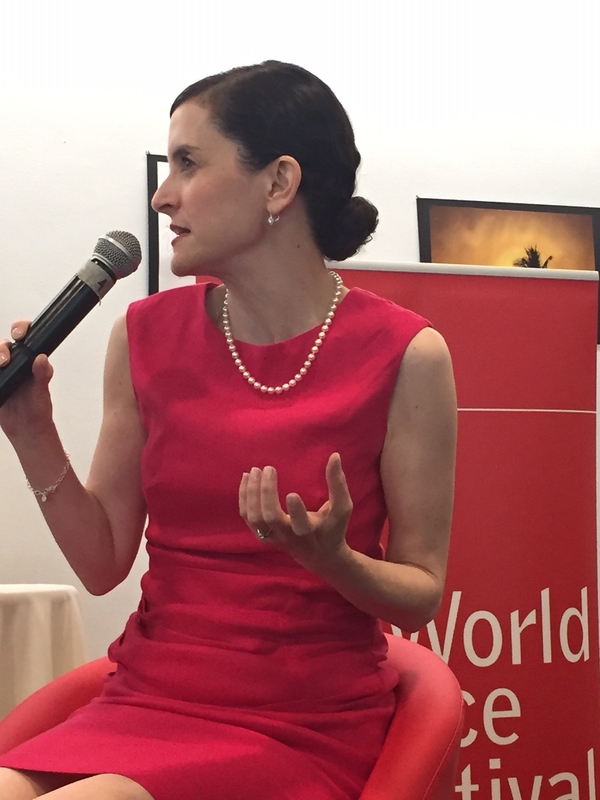 I so enjoyed the panel discussion on “Brave New Word” at the Science and Story program of the World Science Festival. Physicist Leonard Mlodinow, journalist and novelist Bob Reiss and I spoke with Rick Karr about the craft of science writing. It was a stimulating session! 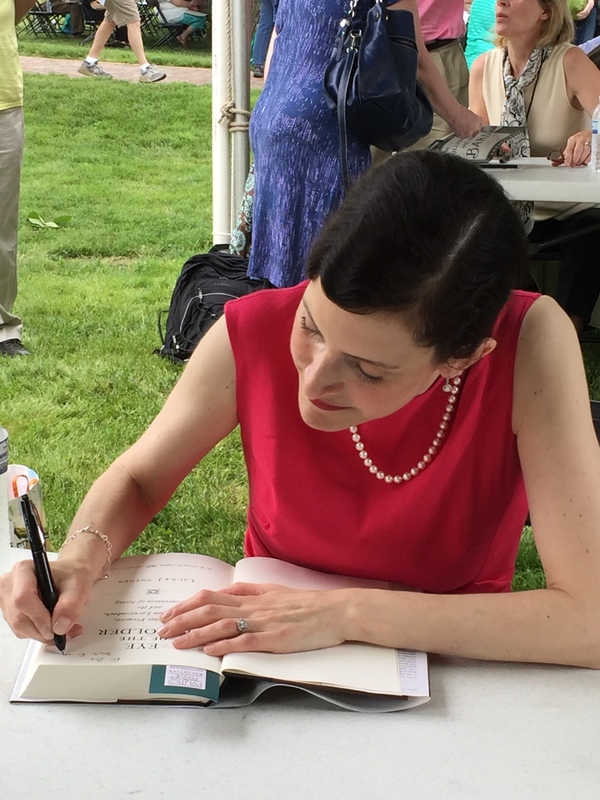 I was delighted to join over a hundred best-selling and award-winning authors at one of the nation’s top and most charming literary events, in Olde Towne Gaithersburg, Maryland. 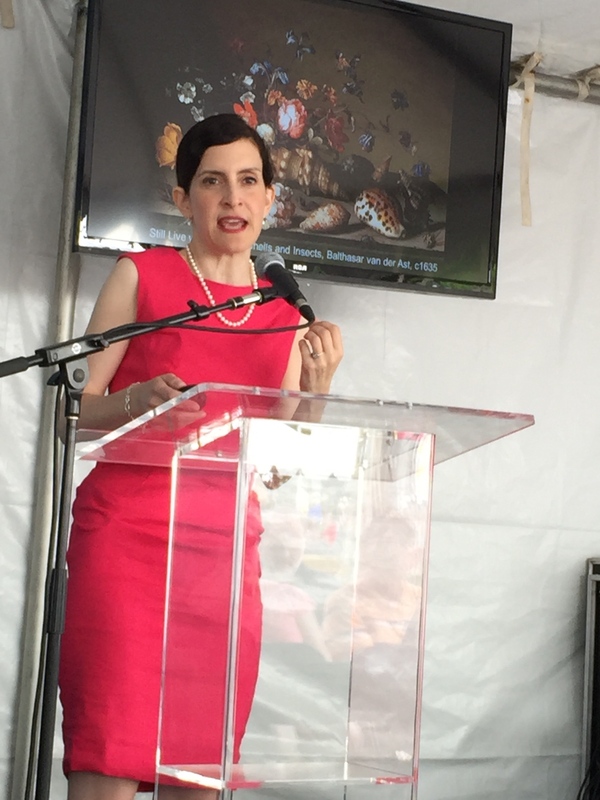 Luckily the rain and hail waited until the end of the day and we had a full tent for my talk. 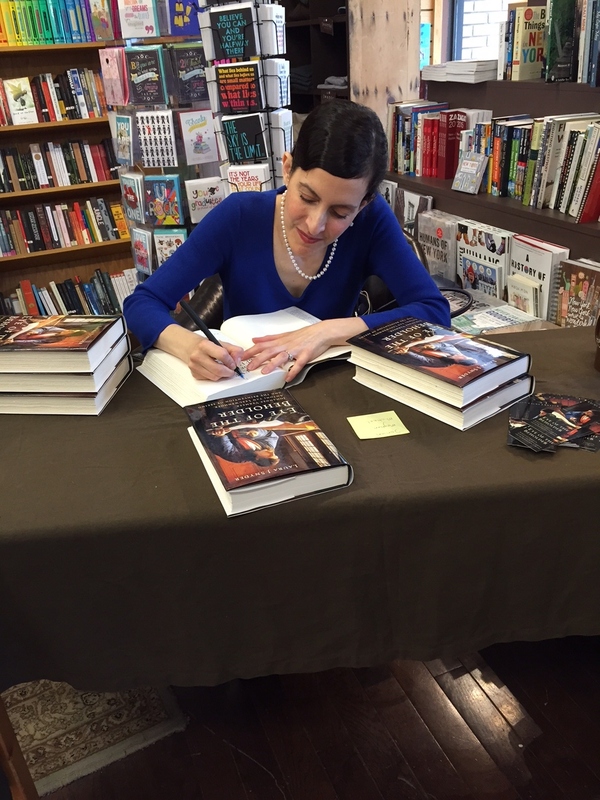 I enjoyed meeting readers and signing books afterwards. I really enjoyed my visit to this terrific Indie Bookstore. They have such a lovely space dedicated to author talks. If you are in the area, you should go visit. They might still have a few signed copies of Eye of the Beholder! 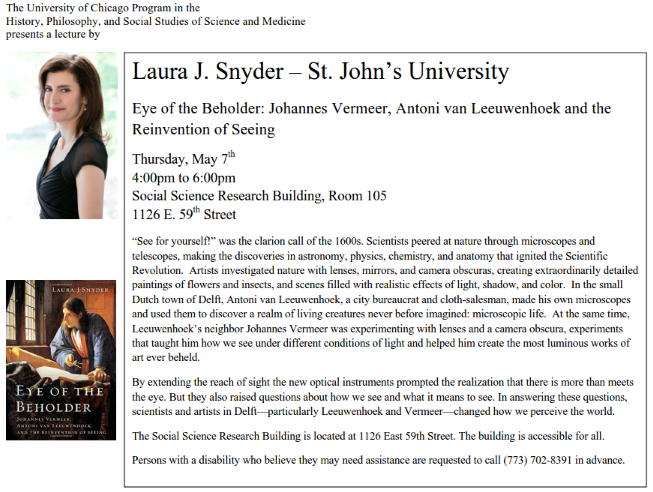 It was a real pleasure for me to return to University of Chicago, where I had the honor of guest teaching early in my career. I gave the annual lecture to the graduating seniors in History, Philosophy and Social Studies of Science and Medicine. It was a great audience—and a fun dinner afterwards! 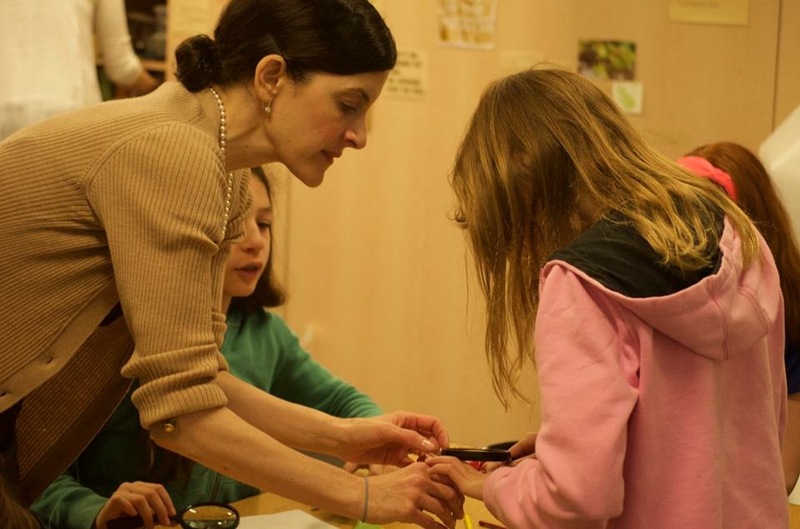 I faced my toughest audience to date, a room of fifth-graders and their teachers, as I talked about how scientists and artists use technology to see the world in new ways. 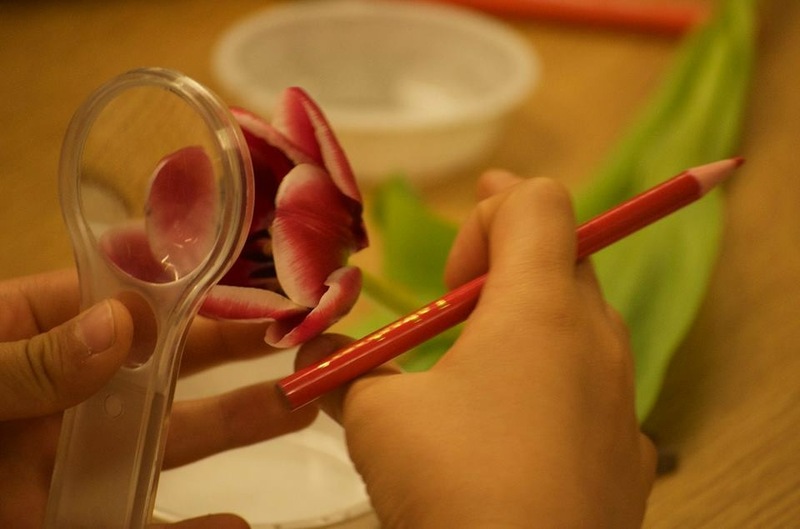 We used magnifying glasses to examine flowers and make our own Dutch-style botanical studies. I was delighted to join a talented group of poets, memoirists and short story writers for this annual reading event! 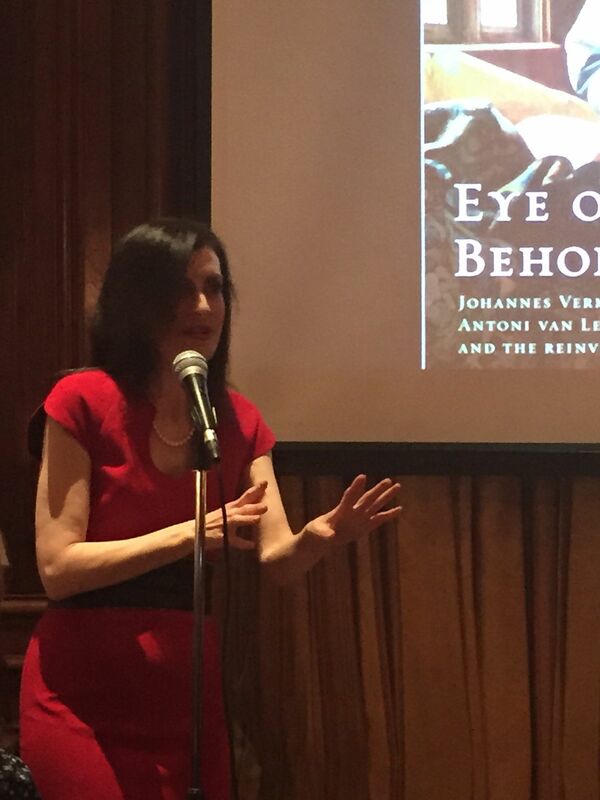 I spoke on The Philosophical Breakfast Club at the New York Society Library in 2011 and so I was especially delighted to return and speak about Eye of the Beholder. 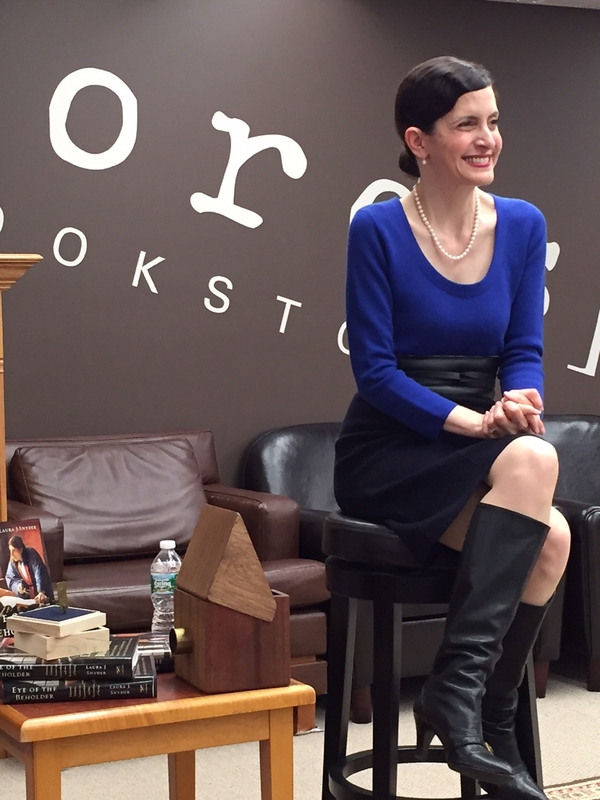 It was a sold-out house with an enthusiastic and smart audience—what more could an author want? Details are here. I spoke on The Philosophical Breakfast Club at the Arnold Aboretum in 2012 and was delighted to come back for a talk on Eye of the Beholder. We had a large group unfazed by April hail and a very lively Q & A. 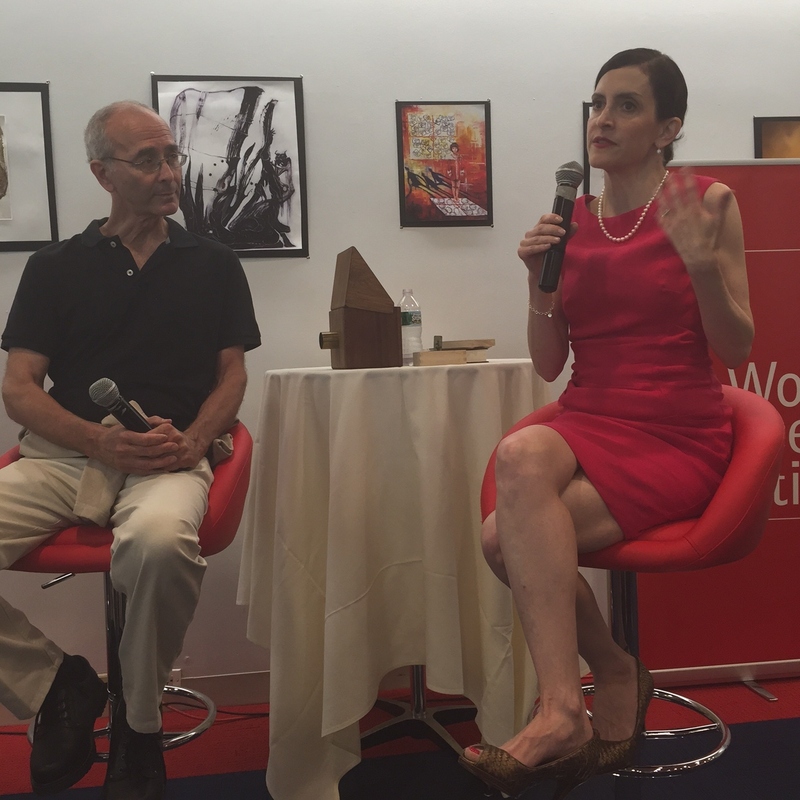 It was so much fun to speak to a sold-out house at the Boston Athenaeum. What an engaged and intelligent audience! I am honored that The Corner Bookstore, an institution in New York literary circles, invited us to launch The Eye of the Beholder in the store on March 16. We ended up with standing room only. I am sorry to those who came a little late and were unable to get in. Please come to my next event in New York City, on April 29, at the New York Society Library. I was in Elizabethtown, Kentucky, for a series of STEM-related talks and events. My public talk on the Philosophical Breakfast Club can be seen on YouTube here.